Malayan High School of Science conducted career orientations for its Grade 9 and 10 students last September 10 and 17, respectively. Organized by the Guidance and Counseling Department, the career orientations aimed to guide students in choosing their career paths. “One of our goals is to guide students in making informed decisions on their future professions or vocations by familiarizing them with various career choices and related Senior High School (SHS) tracks,” said Ms. Alyssa Claire Firmalo, guidance counselor of MHSS. The career orientations were facilitated by speakers from GuidanceNGO, a non-profit organization that conducts research work in various areas including the education sector. Among the topics discussed to Grade 9 and 10 students were the importance of Junior High School academic training, different SHS tracks and their respective subjects, and misconceptions about them. 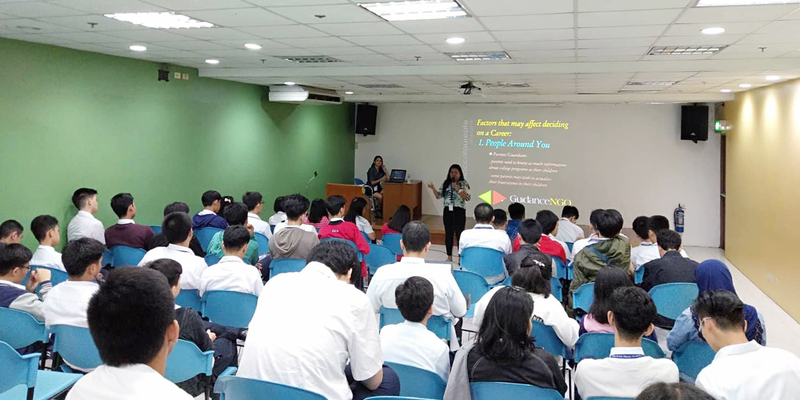 Grade 10 students also attended a career talk organized by the Admissions Office of MHSS’s mother school, Mapúa University, last September 28 at the Audio-Visual Room. The event further discussed SHS tracks and related college programs. We continue to conduct this kind of events as they are informative, educational, and relevant to our students,” assessed Firmalo.